A driverless train which had to be forcibly derailed when it got out of control would not respond to attempts to stop it leaving the yard, an interim report has found. Two people were injured when the runaway train had to be diverted and derailed in Tasmania in September. 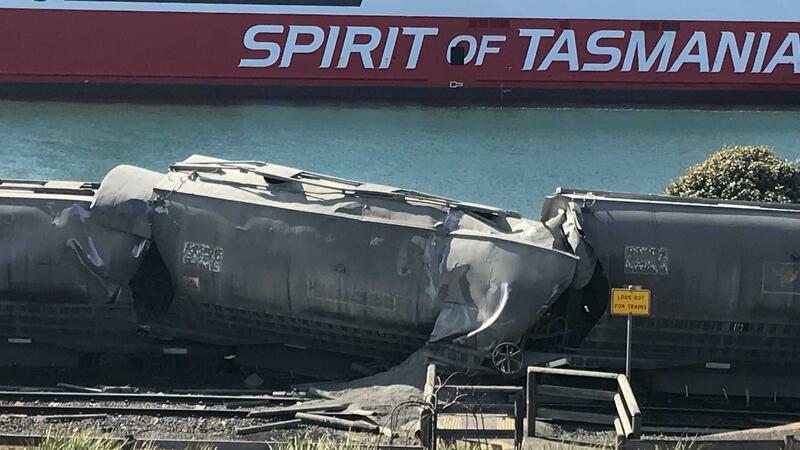 The Australian Transport Safety Bureau (ATSB) has outlined the measures taken by TasRail and Tasmania Police to protect the public as the freight train sped towards Devonport in the state’s north-west. The preliminary report found that a worker loading freight wagons by remote control was close to finishing the job when a transmitter failed and could not be reset. 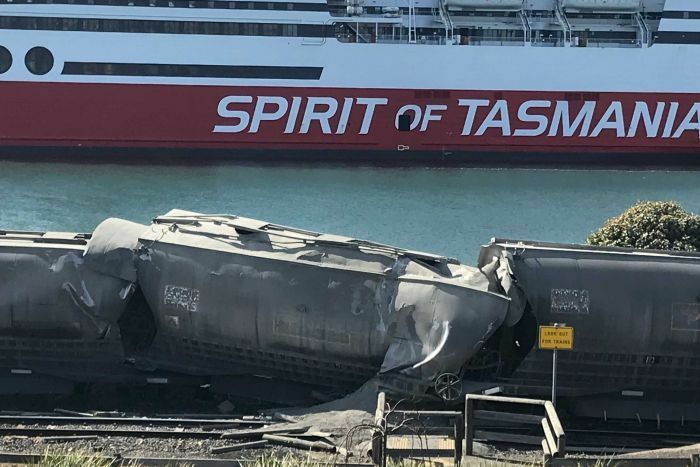 Two people were struck by debris from a fence and suffered minor injuries when the train carrying cement was deliberately routed into a dead-end siding opposite the Spirit of Tasmania ferry terminal. The ATSB’s executive director of Transport Safety, Nat Nagy, said the train was being remotely loaded at a rail yard in Railton at about 8:42 am when it stopped responding to commands from the driver, who was outside the locomotive. “The ATSB’s investigation has so far found that while loading, the last two wagons of the train were misaligned with the loading chute,” he said. The driver tried unsuccessfully to reset the remote control equipment, and was about to walk to the lead locomotive when the train began rolling away towards Devonport. Mr Nagy said the operator tried to activate the emergency stop command of the remote system. “The ATSB’s investigation has also determined the train did not respond to emergency stop commands through the removal of power to the transmitter,” he said. At 8:48am the driver made an emergency call to operators at TasRail’s control centre, to tell them the train was out of control. TasRail controllers were able to monitor the progress of the train using the real-time locomotive performance monitoring system and conveyed this information to Tasmania Police. Police focused on stopping vehicles and pedestrian around the rail tracks and at level crossing ahead of the train. TasRail operators decided to route the train into a dead end siding on Devonport’s waterfront, where it came to a stop at 9:09am. TasRail’s bulk cement service between Railton and Devonport was the only service on which it used a locomotive remote control system, and it has suspended all use of the system until further notice. Mr Nagy said the ATSB was present as TasRail conducted a number of tests on the locomotive involved in the derailment. “ATSB investigators have interviewed a number of witnesses and also collected documentation about the train, the remote control system and also the train network,” he said. TasRail welcomed the ATSB’s preliminary report and said it was continuing to cooperate with the investigation. 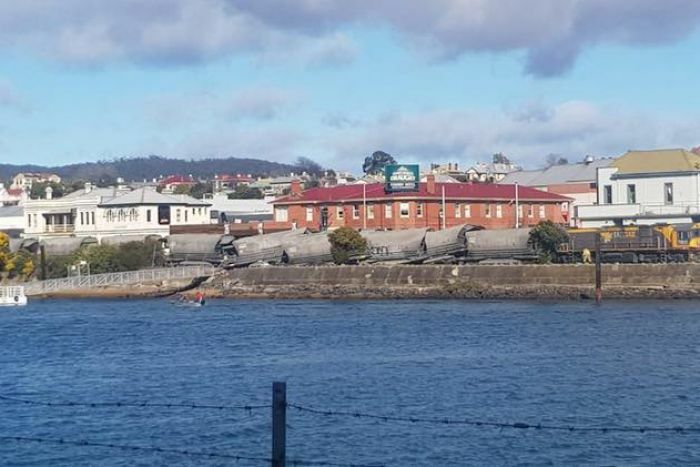 It says the locomotive in the derailment also remains quarantined from service and will not return to operations until it is cleared by the ATSB. The ATSB’s preliminary report does not contain any analysis or findings of the investigation. A final report is expected late in 2019.